The advice to those planning a trip to Mexico used to be, “Don’t drink the water!” lest you be the victim of “Montezuma’s revenge,” a miserable week of unwelcome diarrhea and bloating. Not bad advice, considering the regrettably unforgettable scenery from which one might suffer lifelong nightmares, like human heads rolling down city streets and bodies hanging from bridges. 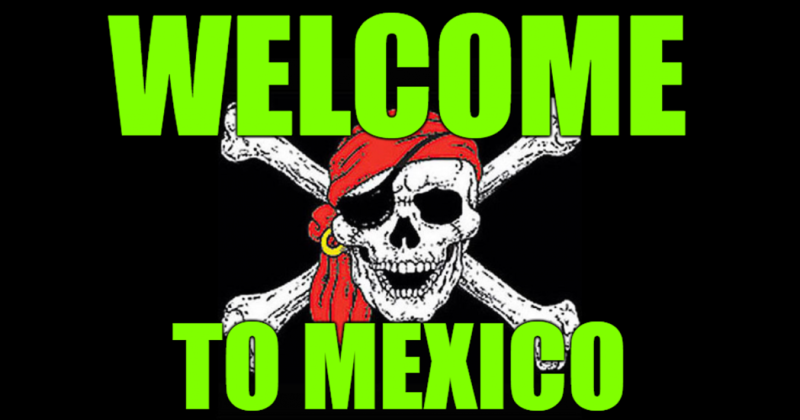 Mexico is NOT a safe country, not even tourist hotspots like Cancun and Puerto Vallarta. But, now, a new and improved horror has been introduced to unsuspecting tourists by our creative neighbors to the south. Organ theft! That’s right, if you want to roll the dice and travel to Mexico, be sure your life insurance is paid up because you may very well come home in a box missing a few incredibly vital organs, like your heart and brain. Not kidding! The 35-year-old (known only as Mr. Kim) leaves behind two children and a wife, who claims there was nothing natural about her husband’s cause of death. After Mr. Kim’s body was flown back to his family in South Korea “without brain, stomach, and heart”, his wife claims the father-of-two was involved in a fight before he died. She claims he was involved in an altercation at a karaoke bar in Monterrey on the day he died. According to Mrs. Kim, her unconscious husband was rushed to hospital the night of January 3, where he was later pronounced dead. All of this was allegedly caught on CCTV. I can't speak to the missing stomach, but most certainly the missing brain and heart are clear proof that the deceased was a card-carrying Democrat.